Avaaz - THE OLYMPIC HANDSHAKE - JOIN IN NOW! THE OLYMPIC HANDSHAKE - JOIN IN NOW! for China, and the world." The Beijing Olympics should be a moment to bring citizens around the world together. 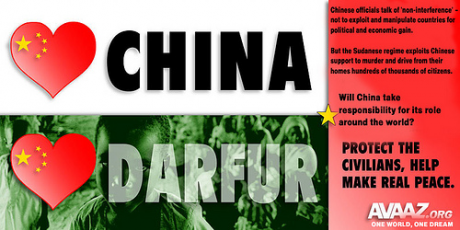 But the Chinese government still hasn't opened meaningful dialogue on Tibet, or made progress on Burma and Darfur -- and global activists' messages are too often lost in a firestorm of accusations about being anti-Chinese. We've decided to take the moment back with a powerful, unambiguous message of peace, friendship and dialogue -- the Olympic Handshake. The handshake began with the Dalai Lama, passing through the streets of London, now it's gone online where all of us can join in -- help the handshake travel toward Beijing, where our message will be delivered through a big Olympic media campaign before the closing ceremonies. Join the handshake, and see yourself and others as it goes around the globe!